All Award Events take place on Friday, September 30. 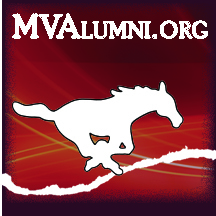 The public is invited to attend the Alumni Association Awards Ceremony at 9:00 am in the High School Gym at 525 Palisades Road SW in Mount Vernon. Following the ceremony, a Reception will be held in the High School Library from approximately 9:45 to 10:30 am. The public is also invited to attend the Homecoming Pep Rally in the High School Gym at approximately 2:35 pm.